Learning the abilities to play more than one position, and play it well, will greatly enhance the value you’ll offer a team, any team. 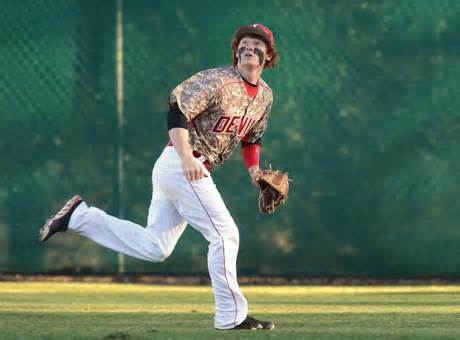 Becoming a Utility Player, which traditionally had been associated with the infield positions, but now include outfield positions as well, is an excellent avenue to secure a roster spot, and a scholarship. By this stage of the game every infielder should be quite capable of fielding ground balls, possess soft hands and automatically retrieve the ball from the glove with a 4 seam grip, as these are standard skills every infielder must have. However, although every infield position requires identical basic skills, they also require different skill implementation and assignments and this is where you learn to stand above the rest…. Learning the Responsibilities of Each Infielder. 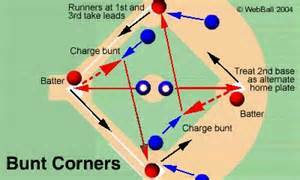 For instance, in a Bunt situation, the First baseman will charge towards the plate in an attempt to field the bunted ball. The Second baseman‘s responsibility is to run to cover First Base in order to receive a throw from whoever fields the ball, while the Shortstop is responsible for either covering second base or third base, depending on the situation. Let’s stop for a moment and look at this situation. The Second Baseman & Shortstop both possess the required skills of an infielder, but do they know what each other are doing in this situation? Maybe, but would they automatically react as the regular shortstop if their normal position was second base, or would they hesitate to think? If you possessed the skills to automatically, without delay or reduced quality of fielding, be capable of playing both positions equally well, you are more important, (greater Baseball value) than a “Hot Shot” infielder who is restricted to playing one position. the same argument of increased Value, can be made for the ability to play all the outfield positions. Again, at this level all outfielders should be quite capable of catching a fly ball or charging a ground ball hit through the infield. However, do you know the difference in the probable slice of a line drive while playing left field vs. right field? Do you know what responsibilities the Center Fielder has which the left and right outfielder may not? By training and learning these types of intricate and sometimes very critical skills, you will demonstrate your ability to comfortably and skillfully play any outfield position, which allows the coach flexibility in creating a starting line-up or substituting for a particular situation. You have increased your baseball value to the coach by offering him flexibility without sacrificing quality of play.